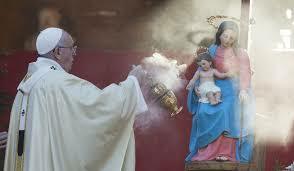 Do you think that the Virgin Mary of the Catholic Church is actually Mary, the mother of Jesus in the Bible? Pope Francis certainly believes this, as do approximately one-billion Catholics today. Are they correct, or are they gravely mistaken? Because if they are wrong, then Satan has deceived them! Mary personally acknowledged that she was a sinner in need of a Savior, but the Catholic Church teaches that she was sinless and some Catholics believe that she should soon be elevated to the stature of Co-Redemptrix, Mediatrix and Advocate! 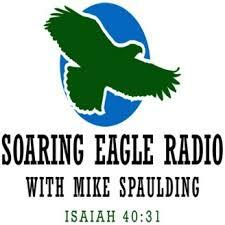 In this edition of Soaring Eagle Radio, Bill Salus takes on the Catholic Church single-handedly and explains how Satan has polluted Roman Catholicism down through the ages with false doctrine. Salus claims that the Catholic Church has unwittingly propped up one of the Devil’s demons as their blessed Virgin Mary. CLICK THE IMAGES BELOW TO LISTEN TO THIS CRITICALLY TIMELY AND IMPORTANT SHOW!